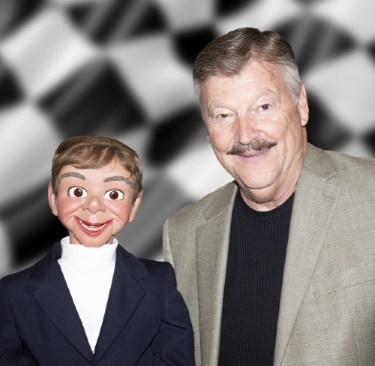 Dale Brown has been a ventriloquist, speaker, and comedian for more than three decades. He is now semi-retired and is only available for select dates. Dale breathes life into a stage full of characters. Dale’s incredibly funny shows provide an abundance of side-splitting laughter and enjoyment. Recognized as one of the country’s leading banquet entertainers, his professional comedy presentations are fast-paced and generate non-stop hilarity and fun.The Wisconsin native has appeared at the MGM Grand in Las Vegas and you may have seen him on Entertainment Tonight, Good Morning America, The Today Show, CBS This Morning and a variety of other news and talk show programs. Let Dale’s skill as a stand-up comedian, ventriloquist, writer, and keynote speaker work for you. His performance will brighten any program and make your event a memorable one … an event that audience members will talk about long after the show is over. Dale’s humorous banquet programs are customized for your group . . . whether they are for corporate events, associations, community groups or clubs. For more information. Sign up to receive Chip Martin’s blog. You can receive it via email or RSS feed. Note: The photo of Chip and Dale was taken by Siggi Studios.